Police went knocking on the door of a 17-year-old boy who tweeted an insulting message to Olympic diver Tom Daley, saying that he had let down his dead father by failing to win a gold medal. He was arrested, but released and given a warning. Facebook and Twitter have landed several Britons in court and even jail recently. Critics decry the trend as a worrisome overreaction. CHORLEY, England — Everyone agrees that his “jokes” making fun of two kidnapped girls crossed the line. Matthew Woods swiftly became an object of contempt after he posted the crude and offensive comments on his Facebook page. A judge thought so, and ordered the 19-year-old to spend 12 weeks in jail, essentially for overstepping the bounds of good taste. Woods now sits behind bars — and also in the middle of a growing clash in Britain between freedom of expression, societal mores and the digital revolution. Woods is one of several people whose use of social media has landed them on the wrong side of the law. They’ve been arrested, tried in court or otherwise subjected to public censure for posting distasteful opinions or malicious statements online, remarks that would’ve earned them little more than disapproving looks if they’d said the same thing over a pint in their corner pub. One man angry about the war in Afghanistan was ordered to perform 240 hours of community service for declaring on Facebook that “all soldiers should die and go to hell.” Police also went knocking on the door of a 17-year-old boy who tweeted an insulting message to Olympic diver Tom Daley, saying that he had let down his dead father by failing to win a gold medal. He was arrested, but released and given a warning. While deploring such sentiments, civil liberties groups and prosecutors alike have registered alarm over the rash of arrests and investigations, concerned about an erosion of free expression here in one of the world’s oldest — and most raucous — democracies. The source of the controversy is a 2003 communications law that, among other things, makes it a crime to send messages deemed “grossly offensive or of an indecent, obscene or menacing character” through a public electronic network. Critics note that provision actually comes from an older version of the law from the 1930s and was aimed at protecting telephone operators from abuse. The 2003 act kept that passage, but it was in a world before Facebook, Twitter or other online social networking sites, at a time when the phrase “going viral” hadn’t yet gone, well, viral. Yet the law continues to govern a completely new media landscape encompassing the Internet and its offshoots, an anachronistic situation that critics say should be urgently addressed but probably won’t be, given the current government’s focus on reviving the British economy. The trend is evident not just online, they say. Recently a man was sentenced to four months in jail for wearing a T-shirt in public on which he’d written “One less pig” after two policewomen were killed in an ambush in a nearby city. The statute cited was a different one: a breach of public order. Such punishments can seem shocking to Americans, for whom freedom of speech — even (or especially) odious and hurtful speech — is enshrined in the Bill of Rights. Britain has no written constitution, though it boasts its own long, proud tradition of free expression as embodied in the popular tourist attraction Speakers’ Corner in London’s Hyde Park, where anyone can get on a soapbox and release his or her inner orator. The Digital Age has complicated matters. In a world where mass communication is available not just to licensed broadcasters but anyone with an Internet connection, musings that might originally have been intended for private consumption can reach an audience of millions in the blink of an eye. And words that would quickly disappear into thin air when spoken aloud, even in a public place, can remain alive forever and endlessly shared. That hasn’t stopped Britons from complaining to authorities about offensive electronic messages and material, from the trivial to the truly outrageous. Last year, police were called out to investigate nearly 2,500 such cases, the BBC reported recently. Some police officials have complained that this is not a good use of their time. The chief prosecutor for England and Wales, Keir Starmer, appears to agree. His office is now consulting police, attorneys and academics to come up with guidelines on what kinds of cases should merit investigation and prosecution under the 2003 law. One possible marker is whether the messages are actually harassing or threatening, rather than simply distasteful. Matthew Woods had no inkling that his upsetting comments about the two kidnapped young girls would bring both public opprobrium and judicial punishment down on his head in such heavy measure. In what he said was a drunken state, the unemployed teen sat at his computer in Chorley, an old mining town in northern England, and tapped out tasteless jokes that he’d found on the Web. “Who in their right mind would abduct a ginger kid?” he wrote about one of the kidnap victims, a redheaded tyke. Other comments posted on his Facebook page included repulsive sexual references. His lawyer, David Edwards, said that Woods was suddenly cast as “Public Enemy No. 2,” behind the suspected kidnapper of one of the missing girls. Barely 48 hours later, Woods pleaded guilty in court, hoping for leniency. 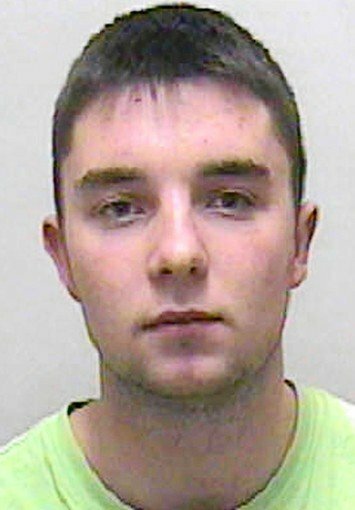 But the magistrate called Woods’ action a “despicable crime” and handed down the 12-week jail sentence. “It’s pretty much the maximum that the court guidelines allow. It surprised me no end,” said Edwards. He agrees that Woods’ comments were appalling. But he noted that the two people who complained to authorities had actively sought out Woods’ Facebook page when they’d heard of the “jokes,” then called police afterward. “There should be a huge distinction drawn between that and directing the comments personally to anybody,” Edwards said. Whether Woods would be subject to prosecution under the new guidelines being drawn up by Starmer’s office remains to be seen. 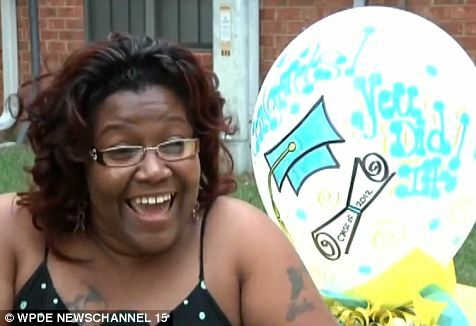 A mother has claimed she was arrested at her daughter’s graduation – for cheering too loudly. Shannon Cooper was handcuffed and escorted out of the arena where she had been watching her daughter Iesha receive her High School diploma. She said she was left humiliated after being taken out and put in the back of a police van. The arrest she said ruined what was supposed to be on of the happiest days of her life. Her daughter didn’t realise her mother had been arrested until friends told her. ‘They’re locking your momma up for cheering — and I was like that isn’t right because other people was cheering and they didn’t lock them up,’ Iesha told WWAY TV. Cooper said she wasn’t cheering any louder than other parents during the ceremony for graduates from Florence High School in Florence, South Carolina. She said she was arrested after her 18-year-old daughter walked across the stage to collect her diploma. Officials said police had warned parents prior to the ceremony that screaming would result in them being removed from the Florence Civic Centre. Cooper said she was handcuffed and placed in a police van before being transferred to a detention centre. She was held for several hours before being released on a bond of $225. Cooper said: ‘Humiliation. I don’t even think humiliation could describe how I felt. You know, because I feel from just my feelings and then looking at my daughter how she felt. ‘I could take you know you know if I did something ,but like I said, yes they said you’ll be escorted out no problem. I’ll be escorted out. I’ll go nicely because I’m gonna cheer. It was hard work. I went through so much to get her to this point you know,’ explained Shannon. Iesha said she was devastated to see her mother arrested at the milestone event in her life. ‘That’s all I can picture, me crying, looking at the police van knowing my mother is in there,’ said Iesha. Cooper said her arrest meant the graduation plans for her daughter had to be postponed. 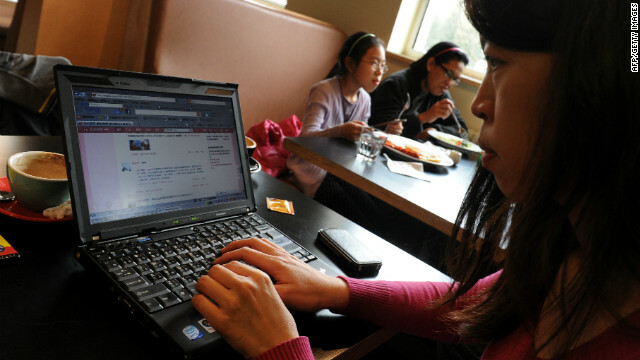 A woman views the Chinese social media website Weibo at a cafe in Beijing in April. Hong Kong (CNN) — Users of Sina Weibo, China’s popular Twitter-like micro-blogging service, now have to abide by new rules aimed at preventing online rumors and other controversial posts. The “user contracts” that took effect on Monday come as authorities put increased pressure on China’s social networks to police what their users are saying. Sina has also rolled out a points system as a way to manage users who post content that contravenes the new rules, according to documents posted on Sina Weibo’s website. Under the system, each Weibo account will begin with a score of 80 and points will be deducted for any perceived misconduct. Accounts that drop to zero will be canceled. Weibo and rival platforms like Tencent’s QQ have become hugely popular in China, with many Chinese regarding them as an important source of news and other information. Weibo is estimated to have 300 million users. 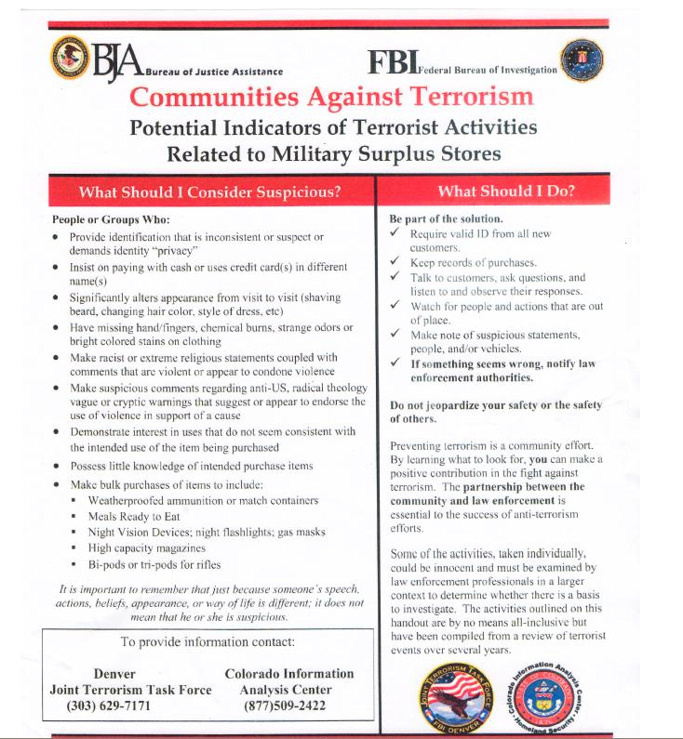 Other banned content includes revealing national secrets, threatening the honor of the nation, or promoting illicit behavior such as gambling. The new rules also seek to stop the use of code words or other expressions often employed by Chinese web users to refer to controversial people or events. For example, the disgraced Chinese politician Bo Xilai was often referred to as BXL. Doug Young, a Chinese media expert from Fudan University in Shanghai, said the steps are intended to ease Beijing’s concerns about the spreading of false rumors. “I think Sina are trying to be proactive and clean up the site and show the government they are taking steps to stop people from spreading false information or other posts that create trouble,” he said. In April, China’s Internet regulator temporarily suspended the comments sections of Weibo and Tencent’s QQ as a punishment for allowing rumors to spread. Authorities also closed 16 websites and detained six people for allegedly spreading rumors of “military vehicles entering Beijing” shortly after the arrest of Bo when China’s Internet was rife with talk of an alleged coup. Smokers in a small California town will be barred from lighting up in their backyards if one resident gets his way. 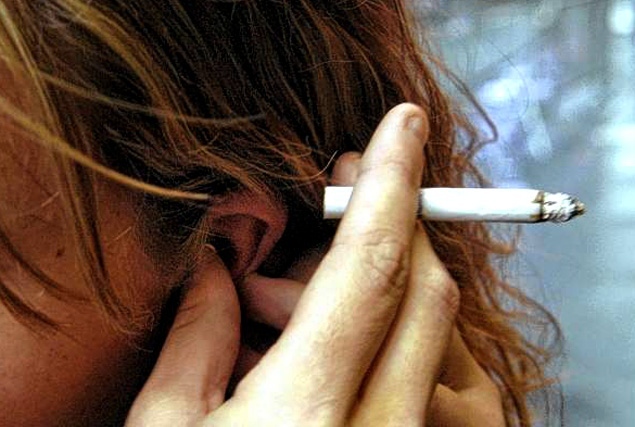 James Baker has asked the Rocklin City Council to ban outdoor smoking, even making it illegal for residents to smoke while they are outside their homes but still on their own property. Baker wants the city to consider the health risk to his children, who have asthma. He has asked his neighbors to refrain from smoking outdoors while his kids are playing on his property. Some neighbors have complied; others have not. Now he wants the city council to take his side. “We’re just saying: ‘Please don’t poison us,’” Baker told the Placer Herald newspaper. The proposal has, not surprisingly, met with resistance. “Perhaps a nonsmoking neighborhood should be established in California, right next to the no pets and no scent-inducing foliage regions of the town,” she wrote. Baker is more than likely fighting an uphill battle to get the legislation passed. “How do you regulate and enforce smoking on private property that may drift with the wind into a neighbor’s yard,” Rocklin City Manager Rick Horst told the Placer Herald. Baker also told the Placer Herald that he is considering moving out of the home. The key role played by Britain in equipping and advising Libya’s rebel fighters for their final push on Tripoli was becoming clear last night as Col Muammar Gaddafi’s remaining forces staged a last stand around his bunker. For weeks, military and intelligence officers have been helping the rebels plan their co-ordinated attack on the capital, and Whitehall sources have disclosed that the RAF stepped up raids on Tripoli on Saturday morning in a pre-arranged plan to pave the way for the rebel advance. MI6 officers based in the rebel stronghold of Benghazi had honed battle plans drawn up by Libya’s Transitional National Council (TNC) which were agreed 10 weeks ago. The constantly-updated tactical advice provided by British experts to the rebel leaders centred on the need to spark a fresh uprising within Tripoli that could be used as the cue for fighters to advance on the city. But when it finally came, the speed with which it achieved its goal took everyone, including the rebels, by surprise. The Daily Telegraph has learnt that although the uprising in Tripoli began on Saturday night, the first phase of the battle for the capital had begun hours earlier, when RAF Tornado GR4 aircraft attacked a key communications facility in south-west Tripoli as part of the agreed battle plan. On Saturday morning five precision-guided Paveway IV bombs were dropped on the Baroni Centre, a secret intelligence base headed by Gaddafi’s brother-in-law Abdullah Senussi. The aircraft then struck at least one main battle tank belonging to Gaddafi’s troops, and in the afternoon another RAF patrol destroyed an artillery piece on the western edge of Tripoli and a nearby command and control facility. On the ground, the rebels had spent weeks smuggling weapons, communications equipment and battle-hardened fighters into Tripoli, setting up secret arms dumps around the capital and waiting for a pre-arranged signal to trigger the uprising. Mahmoud Shammam, a spokesman for the TNC, told the Daily Telegraph that the agreed signal was a televised speech by the TNC chairman, Mustafa Abd-al-Jalil, which was broadcast via the Qatar-based Libya TV on Saturday evening. Mr Jalil told the citizens of Tripoli “you have to rise to the event”, and as dusk fell at around 8pm local time a group of rebels seized their chance and took control of the Ben Nabi Mosque close to the city centre. Using loudspeakers which normally call people to prayer, they began anti-Gaddafi chants to confirm the start of what rebel leaders called Operation Mermaid Dawn – the battle for Tripoli, which is nicknamed Mermaid in Arabic. The timing of the uprising caught Gaddafi completely by surprise; the rebels had spent that day flushing out that last of his forces from Zawiyah, 30 miles west of Tripoli, and the Brother Leader had clearly expected them to regroup, reorganise and re-arm – as they had done in the past after each major battle – before making an attempt on Tripoli. Instead, the rebels who had been fighting in Zawiyah were making a dash for the capital, and in the skies overhead RAF Tornados and Typhoons were launching further surgical strikes on pre-planned targets. The RAF and its alliance partners carried out 46 sorties on Sunday alone, relying heavily on the RAF’s Brimstone ground attack missile system that can pick out targets close to civilian areas with incredible accuracy, minimising the risk of civilian casualties. Gaddafi’s bunker at Bab al-Aziziya was pounded throughout the night, and the Tornados’ advanced electronics also enabled aircraft already in the sky to hit Gaddafi targets as they were identified, using a system known as dynamic targeting. Gaddafi’s command and control centres, set up in industrial buildings or even empty schools, were also attacked, crippling the Libyan despot’s ability to direct his troops. On the ground, meanwhile, the rebels sent out mass text messages to regime opponents waiting in Tripoli for a signal to rise up, and as Gaddafi’s forces tried in vain to suppress the revolt it spread out across 13 suburbs. 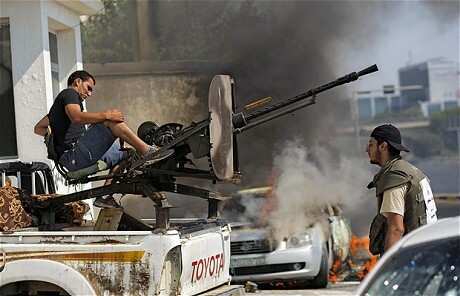 By Sunday afternoon the rebels who had been fighting in Zawiyah were just miles away from the outskirts of Tripoli. William Hague, the Foreign Secretary, confirmed yesterday that Britain had equipped the fighters with a range of “non-lethal” kit including advanced telecommunications equipment and 1,000 sets of body armour. They had also been given night vision goggles, which proved crucial in picking out snipers who had been sent by Gaddafi to impede their progress towards the capital. The battle plan also included a sea-borne assault on Tripoli launched from the port of Misrata to the east, which landed at dawn on Sunday. Gaddafi took to the airwaves to make a series of increasingly desperate appeals for Libyans to defend Tripoli from the rebels as “a matter of life and death” but the crackling recordings of his voice – and a lack of any video footage – led to speculation that he had either fled the country or had gone into hiding in a 2,000-mile network of tunnels built in the 1980s. His soldiers, sensing the battle was lost, had begun dumping their uniforms wherever they stood, and by midnight on Sunday the rebels had reached Green Square, the symbolic heart of Tripoli, with little resistance. The speed of the rebel advance was such that Gaddafi’s intended heir, his son Saif al-Islam, had no time to reach his father’s compound, and was captured by rebels on Saturday night. His brother, Mohammed, was giving a telephone interview to a broadcaster when a gunfight broke out inside his home. The line went dead and seconds later he too was captured. Mr Shammam said: “The plan was very successful. Our assumption was that it would take a few days but the results were clear in a few hours. David Cameron, who was on a family holiday in Cornwall, also seemed to have been caught out by the rapid turn of events. Although he had been kept up to date with the rebels’ plans, no-one had expected Tripoli to fall so quickly, and the Prime Minister scrambled to get back to Downing Street to chair a meeting of the National Security Council yesterday. As the fighting continued in Tripoli last night, the rebels had gained control of around 90 per cent of the city, with the bloodiest battle raging around Gaddafi’s compound at Bab al-Aziziya. Another of Gaddafi’s sons, Khamis, was reported to have led his eponymous Khamis Brigade into battle from the compound, killing what one official described as “a big number” of rebels. Tanks rolled out of the compound to begin shelling the city, and snipers fired from rooftops to prevent rebels joining the battle at Bab al-Aziziya. Loyalist tanks were also deployed at the port, but the rebels continued to press on, and scored further victories. By mid-afternoon yesterday they had reportedly captured a third son of Gaddafi, Saadi, and at 4pm Libya’s state broadcaster went off the air, removing one of the despot’s final and most important tools in his ability to maintain any form of resistance. Across Tripoli, its citizens tore down every green flag of the Gaddafi regime they could find, chanting “freedom” in English. By last night, Green Square had been renamed Martyrs’ Square as 42 years of tyranny finally came to an end. A British primary school which disciplined two seven-year-old boys for playing army games has been condemned by parents. Teachers ruled that the games amounted to “threatening behaviour” and reprimanded the two boys after they were seen making pistol shapes with their fingers. Teachers broke up the imaginary classroom shoot-out and contacted the youngsters’ parents, warning them that such behaviour would not be tolerated. Nathaniel Newton Infant School in Nuneaton, Warwickshire, which caters for around 180 pupils aged four to seven, said the gun gestures were “unacceptable” and were not permitted at school. A spokesman for the school said: “Far from stopping children from playing we actively encourage it. However a judgment call has to be made if playing turns into unacceptable behaviour. A father of one of the boys said: “It’s ridiculous. How can you tell a seven-year-old boy he cannot play guns and armies with his friends? The community primary school was rated as “good” overall in an Ofsted report published last year, but was warned that the children ought to have greater freedom to play. Margaret Morrissey, founder of the family lobby group Parents Outloud, said: “It is madness to try to indoctrinate children aged seven with political correctness in this way. “Children have played cowboys and Indians like this for generations and it does them absolutely no harm whatsoever. In my experience, it is the children who are banned from playing innocent games like this who then go on to develop a fascination with guns. The case follows a string of similar incidents in which children’s playtime activities have been curbed by overzealous staff over health and safety concerns. Earlier this year, a Liverpool school banned youngsters from playing football with anything other than sponge balls amid fears youngsters might get hurt. Research last month also found that one in six British schools had banned conkers due to concerns of pupils being hit in the face. Games such as leapfrog have also been banned. Marcus Jones, the Tory MP for Nuneaton, said: “It is quite apparent that the seven-year-olds would be playing an innocent game.